He was born in 1916 in Shanghai. In the early 30-ies of the 20th century, under the influence of his father, Ding-tsun published his first drawings. Since then, he created cartoons. In addition, Ding Tsun was one of the main founders of the illustrated magazine “Renmin” (“The People”). Ding Tsun had worked hard all his life. 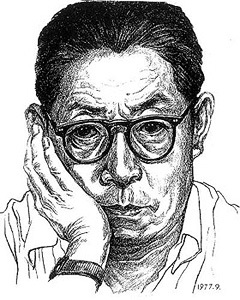 Thanks to many years of work for his life, Din Tsun published more than 40 collections, including “Illustrations to the novels of Lu Xun,” “Illustrations of Ding Tsun,” “A series of cartoons of Din Tsun,” and others. His cartoons, accompanied by the epigrams of Chen Sai, became classics in the history of China’s publishing business.